ZOTAC, known for their heavily customized, non-reference graphics cards is launching the first custom GeForce GTX Titan X solution (via Videocardz). 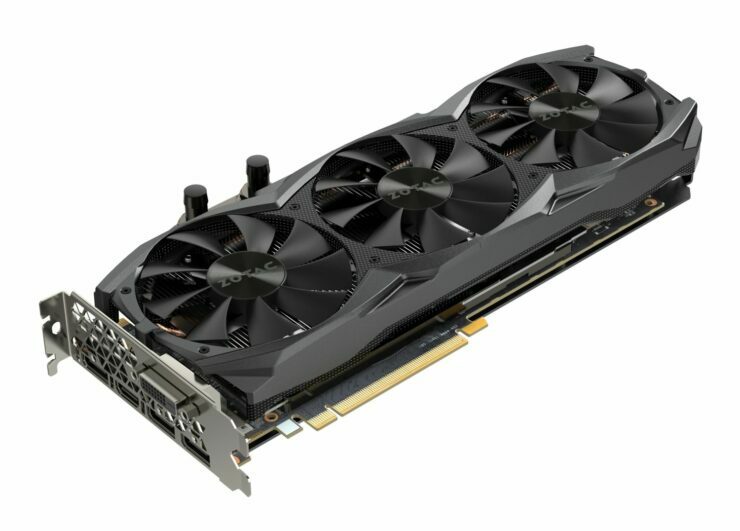 The GeForce GTX Titan X has so far went through its launch without any custom variant as NVIDIA didn’t allow manufacturers to design non-reference cards and the only variant we got were the NVTTM (Black revision) based cards but that is soon about to change. If I have to choose one word to sum up the card, then it’ll choose monster. The cooler featured on the card is a beast with its dual slot design that incorporates both air and liquid cooling. This hybrid design leads to better cooling performance that allows faster overclocking. In terms of PCB design, we aren’t expecting a change since that much is already high-end stuff on the Titan X. Cooling solution however looking nice on the Titan X with its all black shroud but the NVTTM cooler is getting old and you need lots of cooling power to keep a massive chip like GM200 under adequate temperatures. 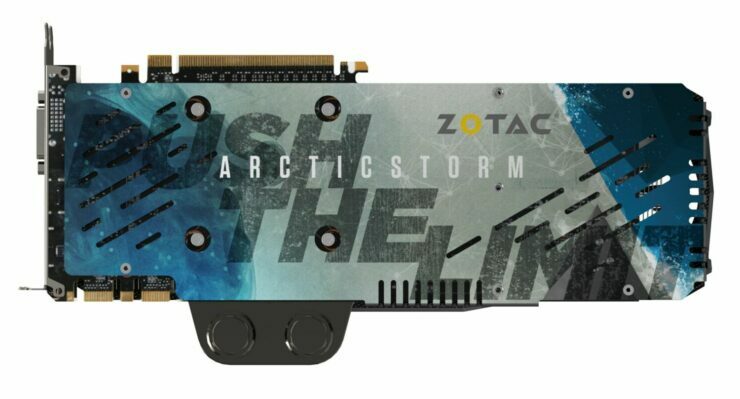 The ZOTAC GeForce GTX Titan X Arctic Storm features a shroud similar to the ZOTAC Omega cards with a cool carbon fiber touch added to it. The shroud features three 100mm fans which circulate heat to a large aluminum fin array block located underneath it that has several heatpipes running through the copper base to effectively transfer heat from the PCB. The card has a integrated option to allow water cooling with your existing loops and that is going to effectively help draw temperatures down. Even the heatsink itself on air cooling will handle thermals pretty nicely compared to the reference Titan X due to a better heat dissipation system. The best part about the card is the amazing backplate that ships with the card that is labeled “PUSH THE LIMIT”. Now that is calling enthusiasts to overclock it to the extreme. The card features DVI, HDMI and three display ports. There’s the Maxwell configuration I/O backplate that looks nice. 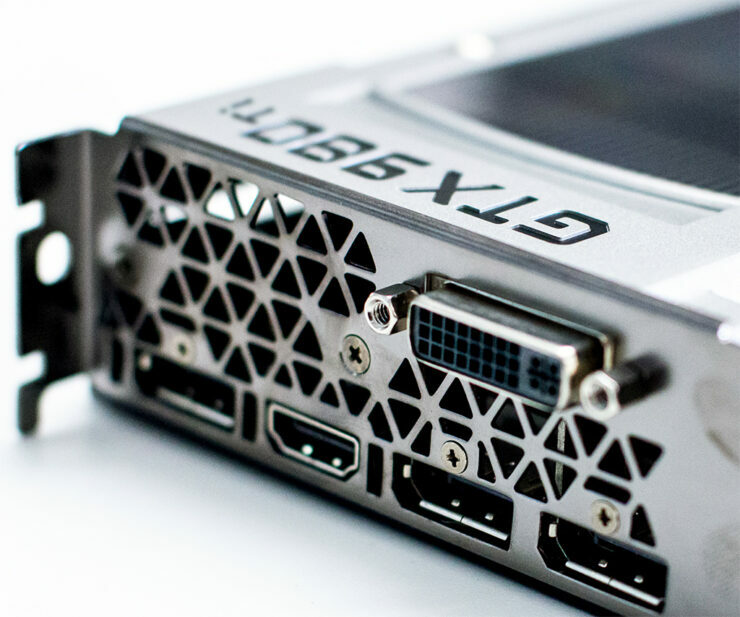 Being a high-end solution, the card requires a 8+6 Pin connector configuration, the whole PCB is supported by a baseplate that adds durability to the board. In terms of specifications, we can expect the same 3072 CUDA Cores, 192 texture mapping units and 96 raster operation units. The card comes with a 12 GB GDDR5 VRAM runing along a 384-bit bus interface clocked at 7 GHz that pumps out 336 GB/s bandwidth. The core clocks come with factory overclocked specs and rated at 1026 MHz base and 1114 MHz boost clock. The effective TDP of the board is rated around 250W and we can expect a price of around $999 US for the ZOTAC reference design. 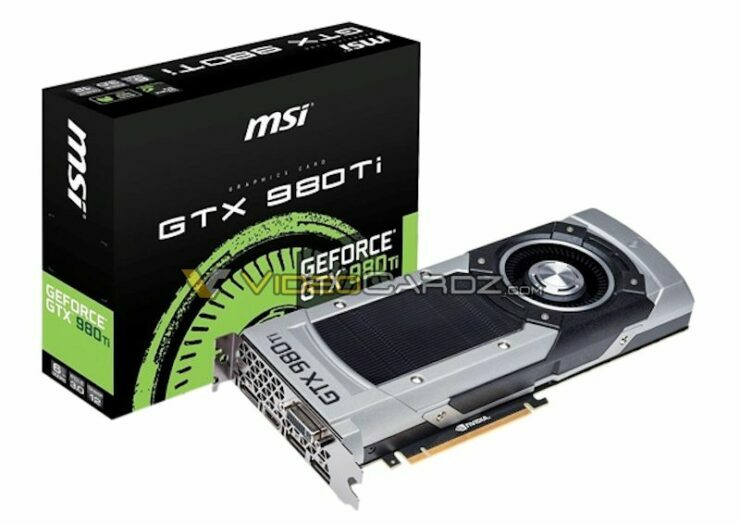 The reason why NVIDIA is now allowing the custom parts of GTX Titan X could be due to the fact that several vendors are coming out with non-reference GTX 980 Ti’s during the upcoming week. 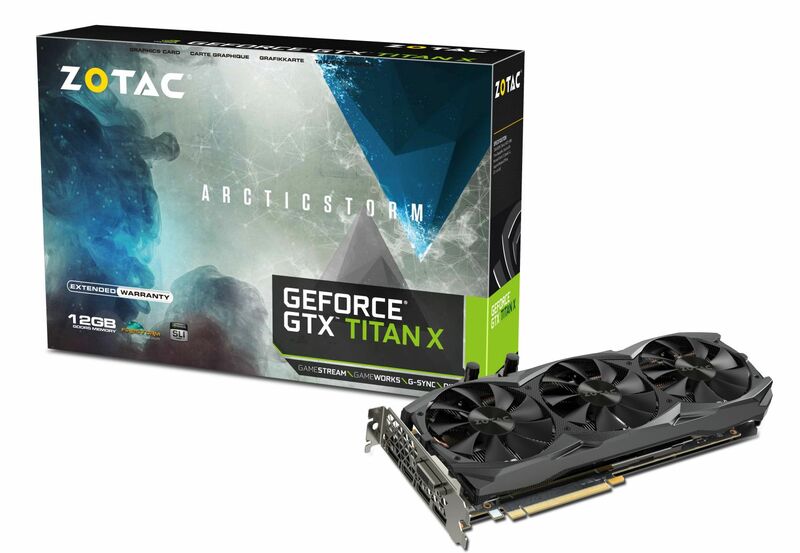 The GTX 980 Ti is already close to performance with a Titan X and overclocked models will lead to better performance. So the best to avoid any internal card competition is to allow faster and overclocked models of the Titan X. 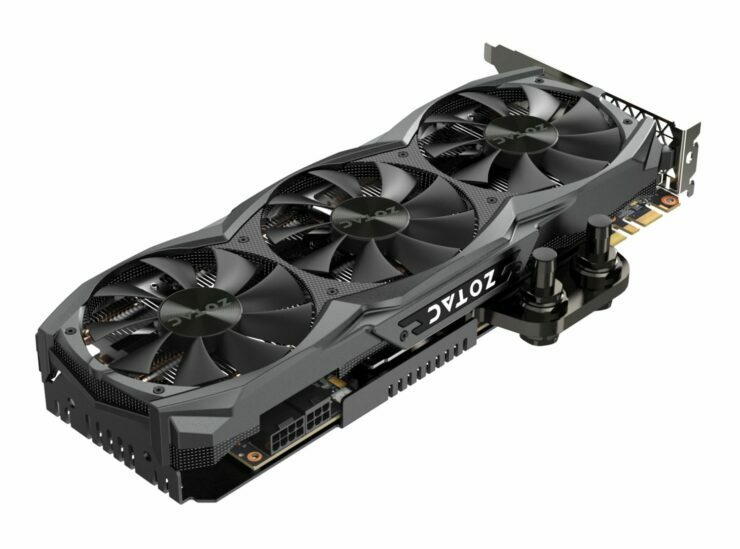 The same model will be available on the 980 Ti from ZOTAC. 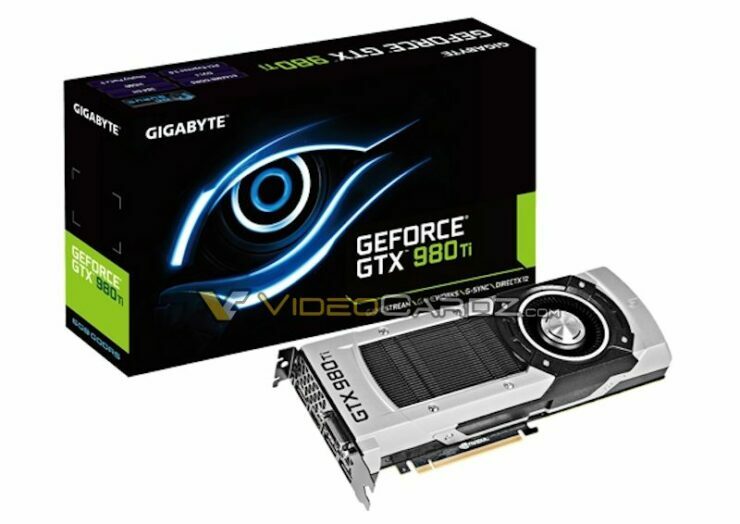 Aside from the Titan X custom model, Videocardz has revealed the very first models of the GeForce GTX 980 Ti from ASUS, Gigabyte and MSI. The cards displayed are all reference and feature the same specifications include 2816 cores, 176 texture mapping units and possibly 96 ROPs. 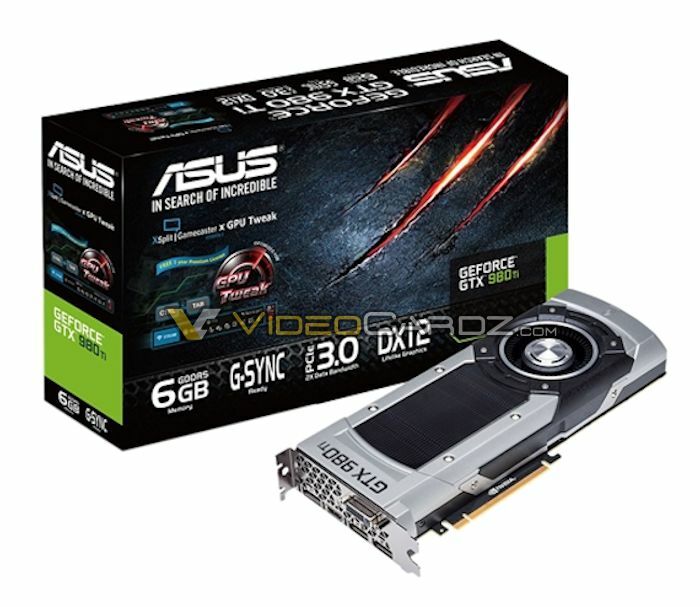 The card does feature a 6 GB GDDR5 VRAM compared to 12 GB GDDR5 on the Titan X. The 6 GB VRAM is more sensible for a gaming card and the memory runs along a 384-bit bus interface that is clocked at 7 GHz to pump out 336 GB/s bandwidth. The core clock is maintained at 1000 MHz and 1076 MHz boost clock. 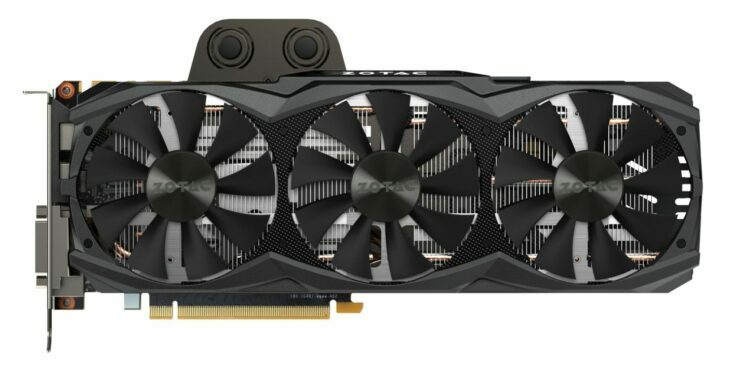 The cards will launch on 2nd June and AMD is also expected to launch their flagship and Radeon 300 series cards during the next month.